What is the best way to recharge emotionally and relieve stress? Different people resort to different methods. Some opt for counseling, others benefit from massage, aromatherapy, or yoga. Still, the Information Age has brought absolutely new techniques many people find particularly helpful when dealing with stress. It’s not a secret that our gadgets, smartphones, in particular, can be a source of constant irritation. Surprisingly, they may also provide you with the tools necessary to fend off anxiety, fatigue, and stress, of course. Portable devices that have long become part of our life offer an ideal platform for stress relief. Now getting help is easier than ever with a number of handy applications. 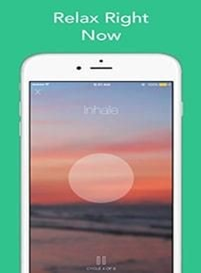 Such apps can help you not only relax through meditation, yoga, mindfulness breathing, and other spiritual practices, but also assist you in getting professional help online. We’re compiles a list of the applications that, to our mind, can quickly help you improve your mental condition. All of them can be downloaded for free from trustworthy websites, such as RocketFiles​, Happify, Pacifica, and others. What we particularly like about these apps is that you have an opportunity to test this or that program during the trial period and decide whether or not it’s good for you. Once you make sure it’s exactly what you need, you may either go on with the free version or avail yourself of a premium version, if it’s available, of course. Now it’s about time you took a look at our top picks. 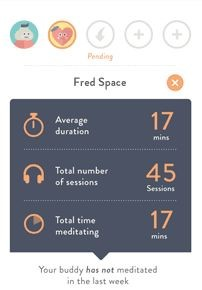 If you’re into meditation and breathing exercises, you should definitely try ​Headspace​ out. This lightweight handy application is designed specifically for those users who experience difficulty coping with challenging situations or dealing with spiritual crises. In other words, Headspace comes in handy when you’re going through a rough patch and in need for guidance, both physical and spiritual. Headspace offers a complex of meditation exercises that can help you focus on positive aspects and, at the same time, distance yourself from the stressors that can be detrimental to your mental health at this moment. People having anger management issues also may find Headspace very helpful. As its very name suggests, the ​Calm​ application is about helping you calm down and relieve stress. Everyday problems, confrontations in the workplace, and family altercations may cause stress and lead to severe depression. When everything seems to be going awry, taking a look at something truly beautiful may help you divert your mind from overwhelming problems and thus save your internal universe from falling apart. Though it may appear too simple to be true, but it’s a psychology-proven fact that staring at picturesque landscapes can reduce stress and considerably lower anxiety levels. Be sure Calm has a wide collection of images instilling appeasement, tranquility, and blissfulness in every beholder. Should you find yourself distressed or worried, take a look at some of Calm’s pictures and you’ll realize that God has lots of wonders in store for you. We all strive for happiness, don’t we? If you feel down, annoyed, tired, or dissatisfied with outwards things, it means that you mind needs a spiritual overhaul. 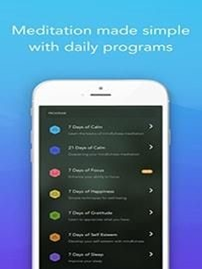 ​Happify​ offers guided meditation to help you through dark moments. There are also fun simple mini-games at your disposal. Should you want to distract yourself from gloomy thoughts, you may select one and start playing. Still, games and meditation are not the only helpful features the Happify application offers. If you want to live a happier and more fulfilled life, don’t hesitate to download Happify. It’s a rare person who doesn’t feel overburdened with everyday turmoil and hectic lifestyle that takes its toll on our mental health. ​Pacifica​ ​is a handy application wherewith you can monitor your mood, set short-term and long-term goals, and track your progress towards them. The application also can help you change the way you think about things and thus reduce the degree and intensity of your current stress reactions. 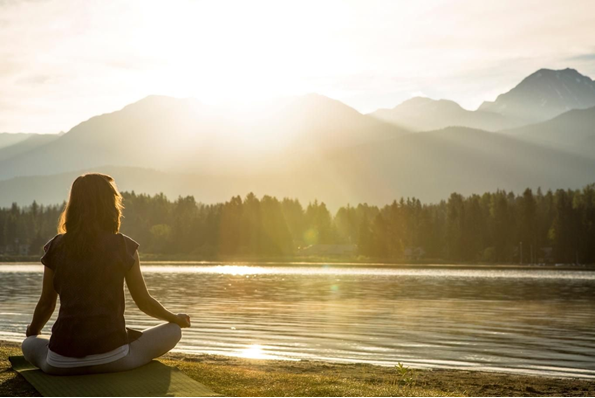 Pacifica employs highly effective cognitive behavioral therapy tools and meditation techniques to help you deal with the consequences of stressful event more successfully.